On my 29th birthday this year, I was more than ready to not only celebrate but to restore balance in my life and create peace of mind after completing my Master's thesis. One of the insights I had gained during the stressful period of my postgraduate studies is to never neglect yourself and important relationships because you're busy, which is what I had done. Even when I had the time to relax or connect with others I wasn't able to be fully present in my mind because I was constantly worrying about work. Thankfully, as Maya Angelou once said, "When you know better you do better." It took me a good four months to feel a sense a normalcy and lightness in my being once again. Personally, it was a persistent act of turning towards God whenever I felt I couldn't handle the weight of the world. Recovery, especially one involving the mind, is not a passive process but one that requires conscious living, being kind to oneself, accepting change and being okay with non-linear progress. In order to treat myself to a much-needed holiday, I hopped on a plane with my loved ones on 8th of September 2016. 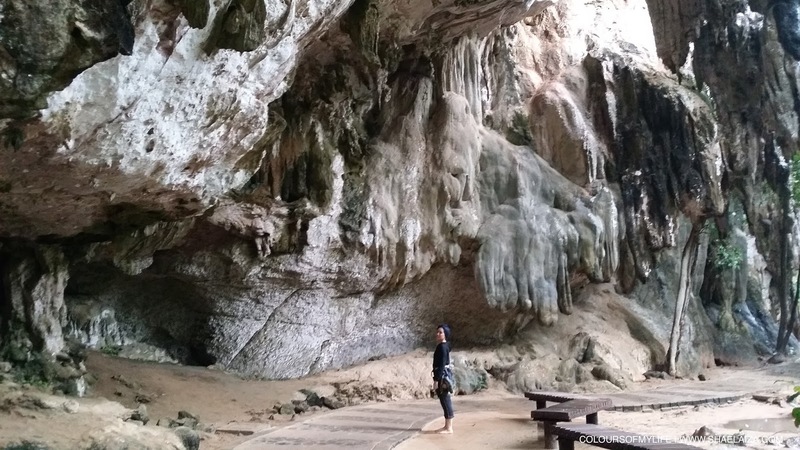 We chose Krabi, Thailand as our destination as we had not been there before and we had an incredible couple of days. 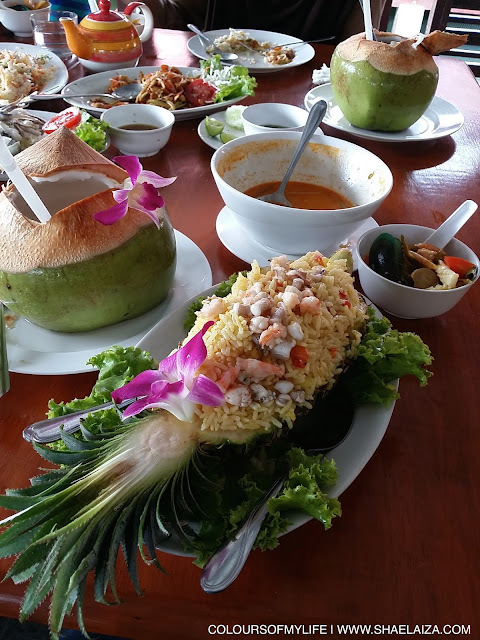 I'd like to say the food was the best part of the trip because Thai cuisine is one of the best in the world in my opinion, but the scenic adventure and activities were the things that made our trip memorable. 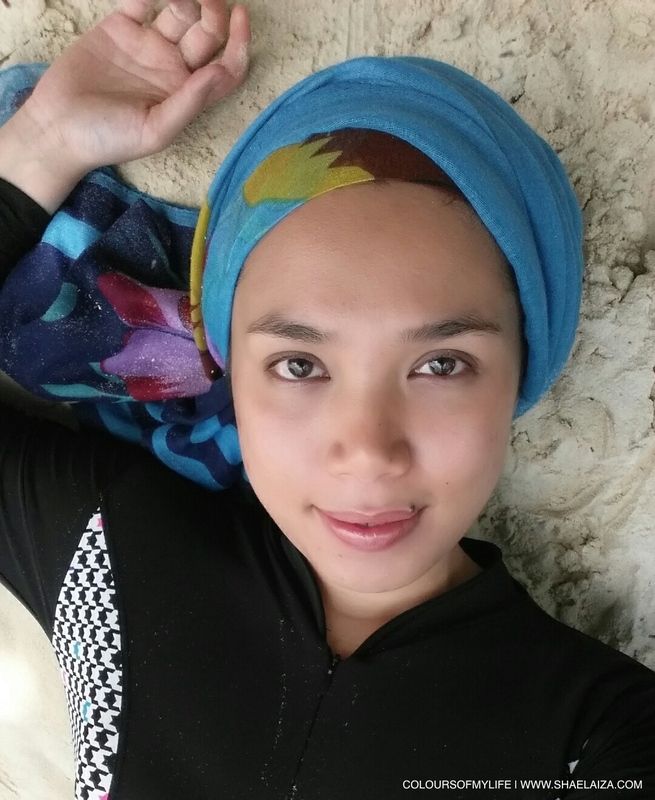 My happy place is a beautiful beach or island so being in Krabi and going island hopping there felt like I had tasted a little slice of Paradise. And one thing I really admired about Thailand is the refinement of its culture, which was reflected in our interactions with the locals who treated us with so much respect. The proof is in the pudding, people! So here are some photos from the trip. It rained heavily when we landed in Krabi but the downpour created an ethereal scenery welcoming our stay in Ao Nang. Hands down, the best birthday celebration meal ever! The authentic Thai cuisine and fresh seafood in Krabi was heavenly. Krabi's scenery and rock formations reminded us of Langkawi Island but unlike the latter, Krabi had more islands for us to explore. This picture was taken at one of the first islands we visited during the island hopping tour. Needless to say, the island's natural beauty was breathtaking. When in Krabi you simply cannot miss the trip to the Hong Islands. Although we did not kayak through these islands or swim there due to the high tide it did not stop us from being mesmerised by the experience of floating past them in our boat. Bamboo Island was our last and longest stop during the island hopping tour. We spent 2 hours relaxing on the beach and snorkelling with the fishes. Kayaking was an option as well but we were too tired at this point and wanted to savour our time on this stunning island. Railay Beach is famous for rock climbing. Our rock climbing guide, Park, was very professional and patient as I struggled to make my way to the top as a first-time climber. I never thought I'd try rock climbing and actually really enjoy it. Outdoor rock climbing was one of the toughest yet exhilarating activities I've ever done in my life! The surface of the limestone was also wet and slippery from the rain, which didn't make climbing it easier. I love moments that remind you there are many things in this world that are bigger, literally and figuratively, than you. After rock climbing for 3 hours we rushed to catch the last long-tail boat ride back to Ao Nang at 6pm. But of course I had to capture this unforgettable pre-dusk view of Railay. The long tail boat rides to and from Railay were among our favourite experiences during the trip, especially when it rained heavily. Being drenched in the rain made it even more of an adventure for us. The famous Spanish architect Antonio Gaudi who was nicknamed 'God's architect' said: "The great book, always open and which we should make an effort to read, is that of Nature." One of the reasons I like being in nature is that it reminds me there's more to this world than our individual lives. There's a whole ecosystem sustaining us and one little change or disruption can cause a natural disaster. We are truly at the mercy of something beyond our comprehension and control and yet we walk on Earth with pride and contempt for others. Why? I often contemplate about what is 'real' in this life when I'm by the beach or in the forest. When I measure the 'realness' of an object or person I'm not referring to tangibility but rather what stays with us from our experience with it or them. Yes, our travels allow us to see and immerse ourselves in a different culture; we may take photos and post it on Instagram or buy souvenirs, but what's real is how it affects our being during and after the experience. Similarly, there are aspects of people that are more real than others. This isn't a conclusion of my thoughts because who I am and what I know is always evolving but I've come to believe what is real about us is the essence of who we are, which can be felt in our presence and how we accept and deal with our successes, challenges and failures. We can be denied of many things in life, from basic human rights to personal needs, but no one can deny us personal growth because as long as we're alive and mentally functioning there's always a way to improve ourselves. What we know to be our strengths and how we acquire them, how we choose to rise above our weaknesses, and how others are affected by us - this is what's real about a person, in my opinion. Everything else fades eventually. Even our feelings and memories fade, let alone our physical strength or beauty. What is real is what we can and do offer to the world. What is real is sincerity, and to be sincere means to not give up easily on who or what is important to you. It's as simple as that. Nature serves as a reminder that just because nothing lasts forever in this life that doesn't mean we can't or shouldn't make something meaningful out of it. In fact, nature may be trying to tell us that this is the whole purpose of this life - to create everlasting, real beauty out of temporary beauty. And maybe this is why I feel less anxious about life when I'm surrounded by nature. A powerful king, ruler of many domains, was in a position of such magnificence that wise men were his mere employees. And yet one day he felt himself confused and called the sages to him. He said: 'I do not know the cause, but something impels me to seek a certain ring, one that will enable me to stablize my state. The ring which they devised was one upon which was inscribed the legend: This, too, shall pass. South East Asia's natural beauty is truly special. Thank you for your comment, Sabila!